The questionnaire below is designed to determine if you may have a depletion in your neurotransmitter levels. It is based on the work Julia Ross, MA. This is only a guide. For a more accurate way of determining an imbalance a neurotransmitter test is available. The results from your questionnaire can help guide you in making treatment decisions. Supplement recommendations are provided at the end of each section. If you have scored positive for more than one imbalance you would need to take supplements from both sections and you could worsen the imbalance by correcting only one area. The inhibitory and excitatory systems must be in balance. Again, to obtain a more accurate picture of your brain chemistry Neurotransmitter lab testing should be considered. Find out more about the Neurotransmitter Test we have available. This questionnaire is not intended to be a substitute for diagnosis by a qualified mental healthcare provider. If you do not have access to one in your area we offer telephone consultations with our licensed nurse practitioner or doctor. Please call 941 371-7997 to schedule an appointment. Instructions: For all the questions you answered YES to, add up the points at the end of each section. If your score totals more than the amount listed at the end of each section consider trying the supplements listed for to correct that particular imbalance. If you score shows a possible neurotransmitter inbalance consider taking a neurotransmitter lab test for more conclusive information. Brain Balance: Brain Balance helps to increase levels of Serotonin, Dopamine, Epinephrine, Norepinephrine, and GABA. Take two capsules twice a day. Part 1. Are You Under a Dark Cloud? 3 Do you have a tendency to be negative, to see the glass as half-empty rather than half-full? Do you have dark, pessimistic thoughts? 3 Are you often worried and anxious? 3 Do you have feelings of low self-esteem and lack confidence? Do you easily get to feeling self-critical and guilty? 3 Does your behavior often get a bit, or a lot, obsessive? Is it hard for you to make transitions, to be flexible? Are you a perfectionist, a neatnik, or a control freak? A computer, TV, or work addict? 3 Do you really dislike the dark weather or have a clear-cut fall/winter depression (SAD)? 2 Are you apt to be irritable, impatient, edgy, or angry? 3 Do you tend to be shy or fearful? Do you get nervous or panicky about heights, flying, enclosed spaces, public performance, spiders, snakes, bridges, crowds, leaving the house, or anything else? 2 Have you had anxiety attacks or panic attacks (your heart races, it's hard to breathe)? 2 Do you get PMS or menopausal moodiness (tears, anger, depression)? 3 Do you hate hot weather? 2 Are you a night owl, or do you often find it hard to get to sleep, even though you want to? 2 Do you wake up in the night, have restless or light sleep, or wake up too early in the morning? 3 Do you routinely like to have sweet or starchy snacks, wine, or marijuana in the afternoons, evenings, or in the middle of the night (but not earlier in the day)? 2 Do you find relief from any of the above symptoms through exercise? 3 Have you had fibromyalgia (unexplained muscle pain) or TMJ (pain, tension, and grinding associated with your jaw)? 2 Have you had suicidal thoughts or plans? Total Score ____________ If your score is more than 12 then you are probably experiencing symptoms of low serotonin. Serotonin is an inhibitory neurotransmitter. Depletion of the inhibitory neurotransmitters are the most common cause of depression and anxiety. Serocor supports the inhibitory neurotransmitter systems of serotonin and GABA that produce calming and balancing effects. A unique combination of precursor amino acids and nutraceutical cofactors activates their pathways of biosynthesis and prevent over-stimulation.- Take 1-3 at bedtime. Part 2. Are You Suffering from the Blahs? 3 Do you often feel depressed - the flat, bored, apathetic kind? 2 Are you low on physical or mental energy? Do you feel tired a lot, have to push yourself to exercise? Inability to feel pleasure? 2 Is your drive, enthusiasm, and motivation quota on the low side? 2 Do you have difficulty focusing or concentrating, been diagnosed with ADD? 3 Are you a thrill seeker or risk-taker? 3 Are you easily chilled? Do you have cold hands or feet? 2 Do you tend to put on weight too easily? 3 Do you feel the need to get more alert and motivated by consuming a lot of coffee or other "uppers" like sugar, diet soda, ephedra, or cocaine? Total Score ____________ If your score is more than 6 points then you are probably experiencing symptoms of low dopamine, epinephrine, and norepinephrine. These are excitatory neurotransmitters. Mood Brightener supports the excitatory neurotransmitter system. Through a unique combination of amino acids, vitamins, and minerals, it supplies the necessary nutrients to support dopamine, norepinephrine, and epinephrine production. Tyrosine Spray This sublingual preparation allows for rapid delivery when a stimulating or energizing effect is needed. Part 3. Is Stress Your Problem? 3 Do you often feel overworked, pressured, or deadlined? 1 Do you have trouble relaxing or loosening up? 1 Does your body tend to be stiff, uptight, tense? 2 Are you easily upset, frustrated, or snappy under stress? 3 Do you often feel overwhelmed or as though you just can't get it all done? 2 Do you feel weak or shaky at times? 3 Have a history of panic attacks or severe anxiety? 3 Are you sensitive to bright light, noise, or chemical fumes? Do you need to wear dark glasses a lot? 3 Do you feel significantly worse if you skip meals or go too long without eating? 2 Do you use tobacco, alcohol, food, or drugs to relax and calm down? Total Score ____________ If your score is more than 8 then you are probably experiencing symptoms of GABA depletion and possibly adrenal fatigue. 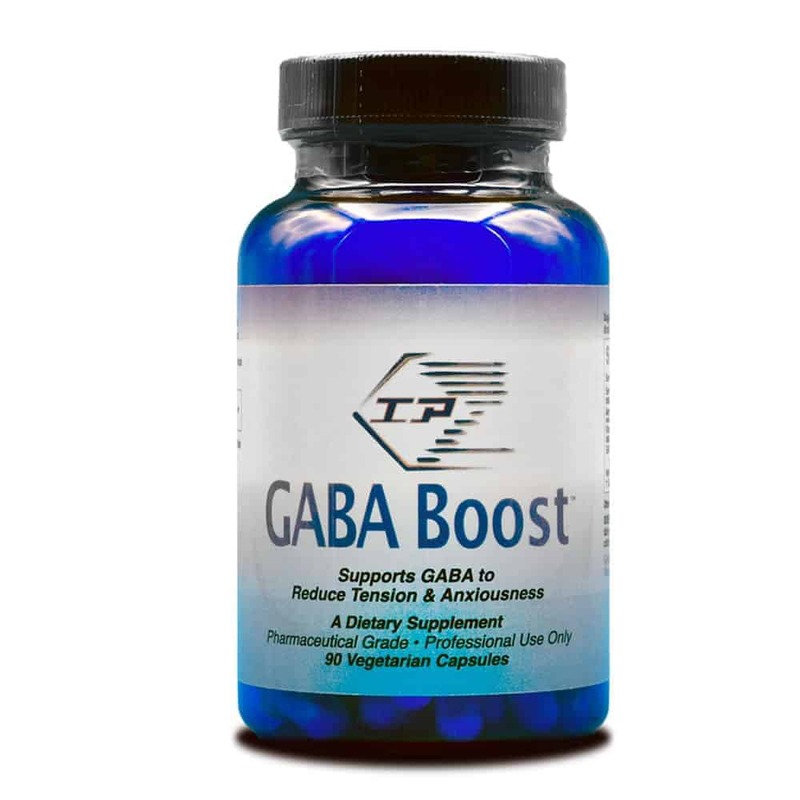 GABA Boost contains Phenyl-GABA which is the only form of the neurotransmitter, amino acid GABA capable of passing the blood-brain barrier in significant amounts to improve neurological functions. ExcitaCalm Cream topical cream works within minutes to reduce feelings of nervousness and anxiety. Part 4. Are You Too Sensitive to Life's Pain? You could be suffering from depleted levels of endorphins. 3 Do you consider yourself or do others consider you to be very sensitive? Does emotional pain, or perhaps physical pain, really get to you? 2 Do you tear up or cry easily - for instance, even during TV commercials? 2 Do you tend to avoid dealing with painful issues? 3 Do you find it hard to get over losses or get through grieving? 3 Do you use drugs such as methodone, oxycontin, codeine, or other opiates? 2 Have you been through a great deal of physical or emotional pain? Suffer from chronic back pain or headches? 3 Do you crave pleasure, comfort, reward, enjoyment, or numbing from treats like chocolate, bread, wine, romance novels, marijuana, tobacco, or lattes? Total Score ____________ If your score is more than 6 then you are probably experiencing symptoms of endorphin/PEA depletion.